A Salutation to My Mother! since her Birth in April 1915! 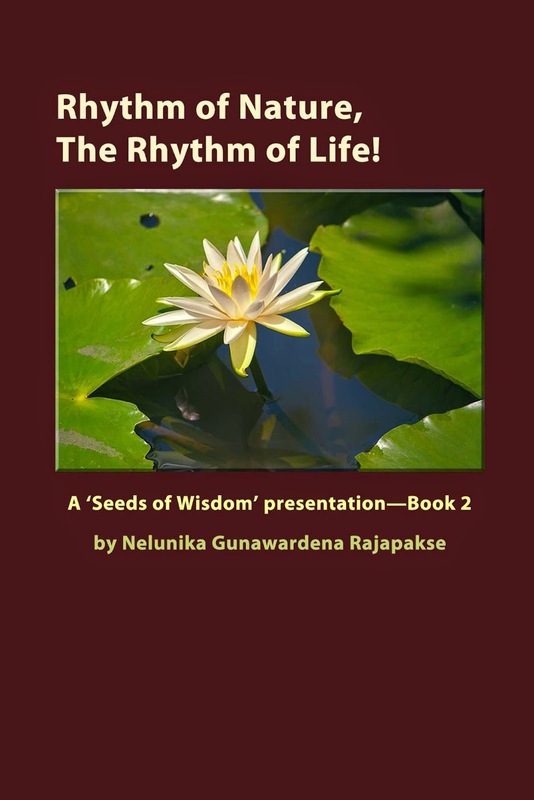 ‘Rhythm of Nature, The Rhythm of Life’ is a meditative and reflective exposition, intended to purvey the illusory human reality that exists—within the peripheries of afflicted, dualistic mind. Reality, in an ultimate sense, however, is the very ground of infinite potential from which ceaseless phenomena—as ’being’ or ‘non-being’—come to be, defining existence, or non-existence, characterized by interdependent co-emergence. Accordingly, the universe of simultaneous individuality and collectivity is, in itself, the interactively selfless, ever-evolving and dissolving wonder of magical experience, trapped within the eighteen elements of being—namely, the six sense bases, six sense objects, and six sense consciousnesses—that spring from the primordial essence-mind. tapestry of interdependence—travels along the path of ‘the present’, through time and space. May the readers of this compendium of reflective thought ponder over their deeper human purpose which, in a sublime sense, must be to touch the vast ocean called ‘life and being’—untainted and unbiased by compartmentalized thought. ‘Rhythm of Nature, The Rhythm of Life’, to recapitulate, is the melody, and the evanescent wonder, of deep interconnectedness and interpenetration that underlies all of ‘form and being’. It is the awe-inspiring energy of vitality that is orchestrated throughout the entire cosmic scheme or spectrum of phenomenological existence, as synthesized experience in relativity!